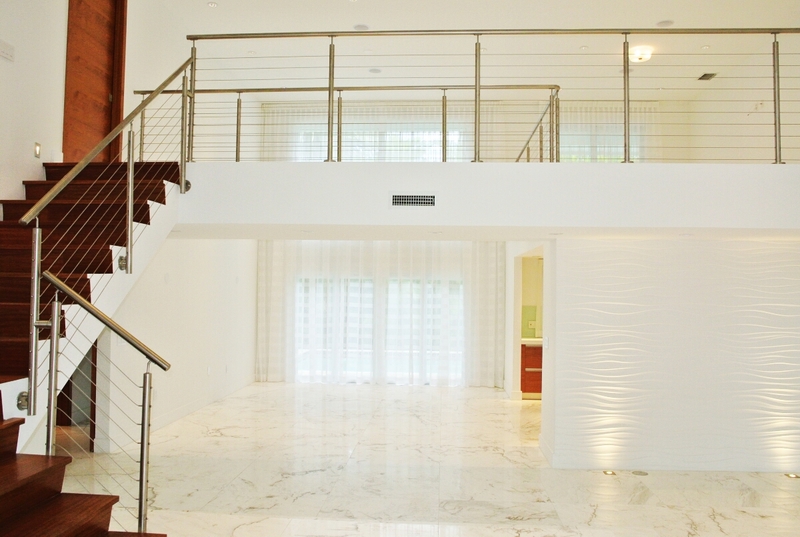 This was a complete restoration of an existing home that had simple lines, and as such made the job easy. 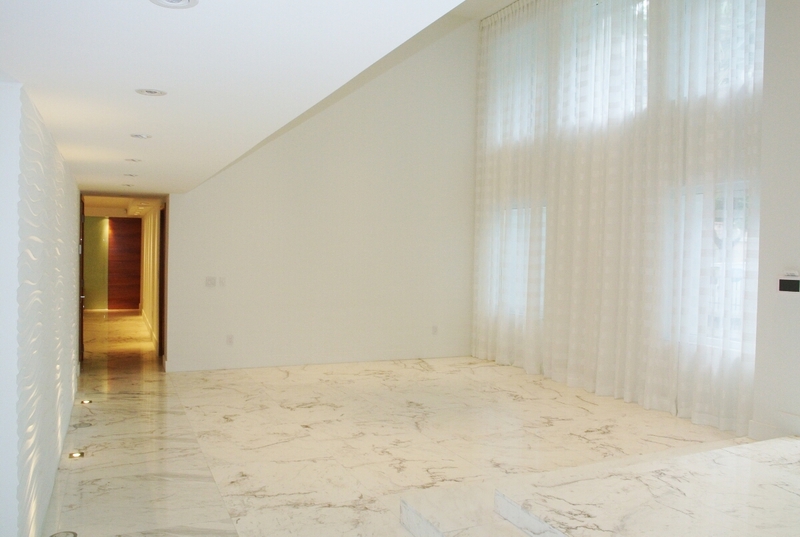 We gutted pretty much the whole interior as the ceilings were damaged from water leaks. 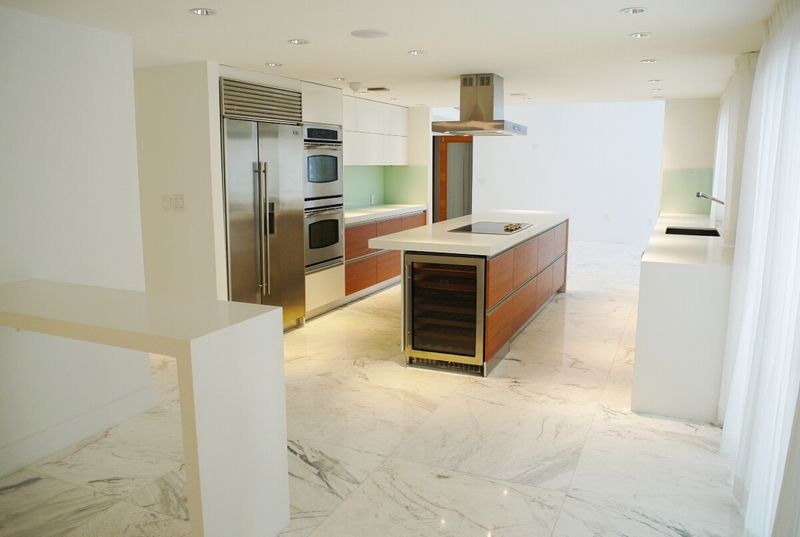 A modern diamond was created by using 36” x 36” marble for the floor. 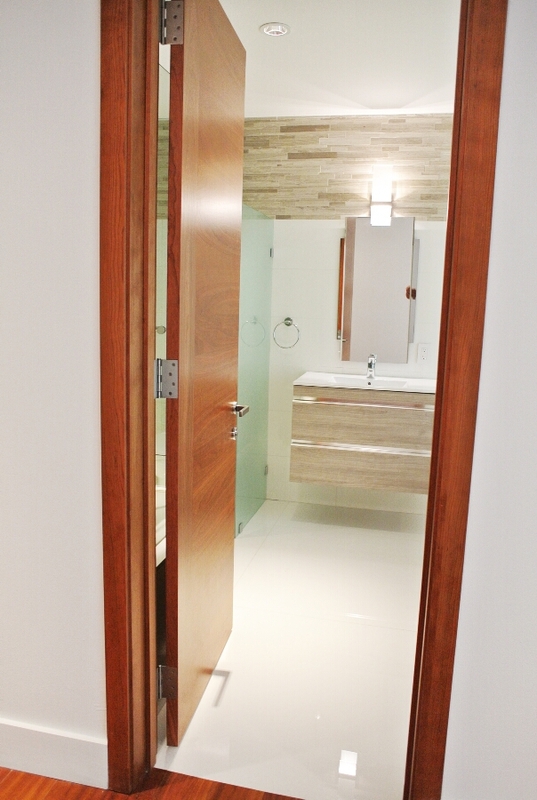 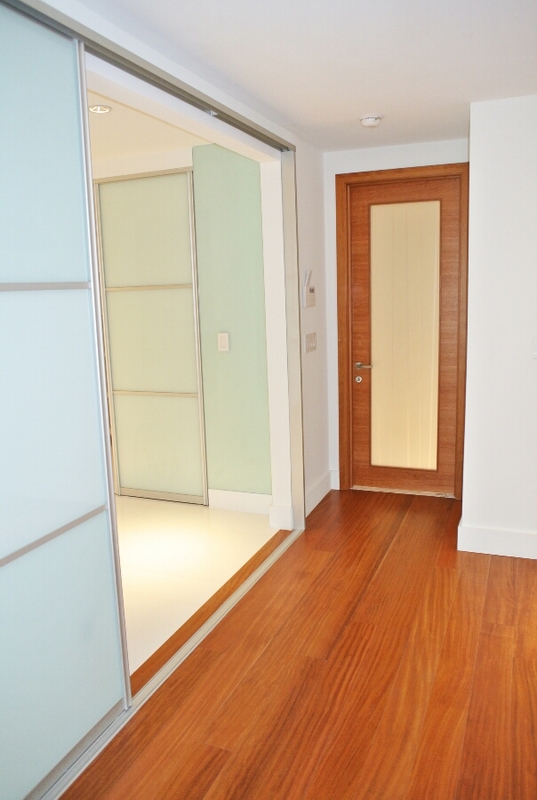 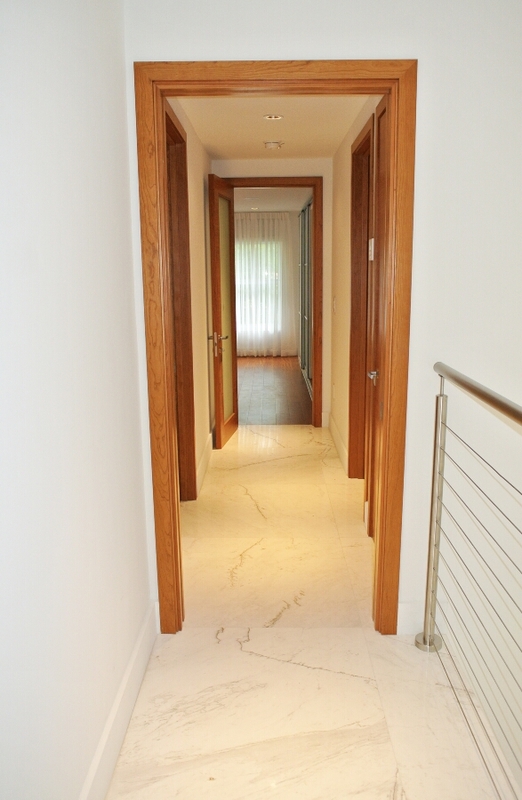 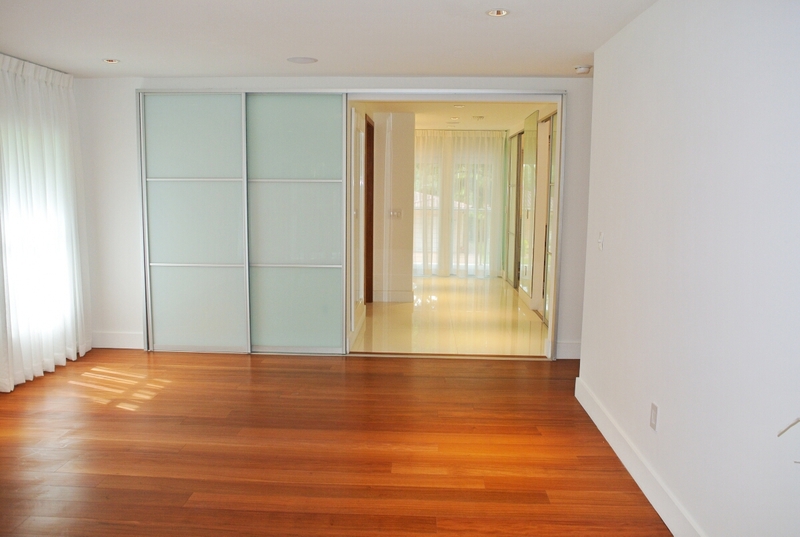 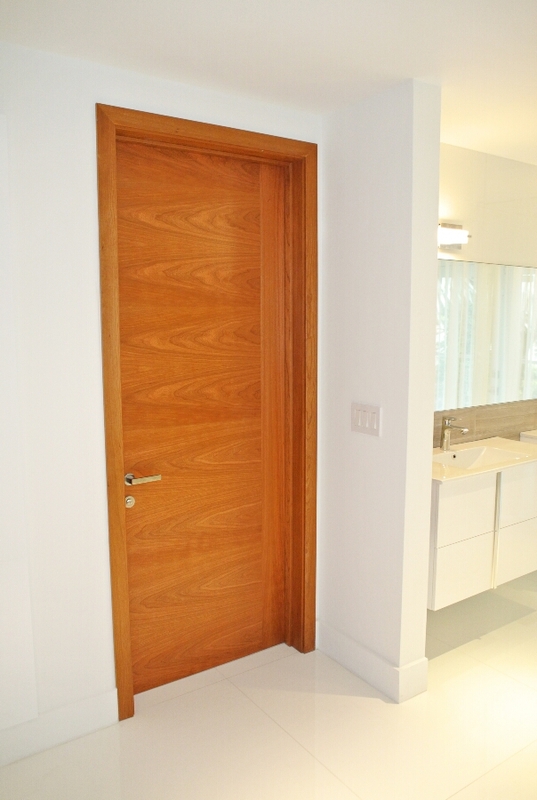 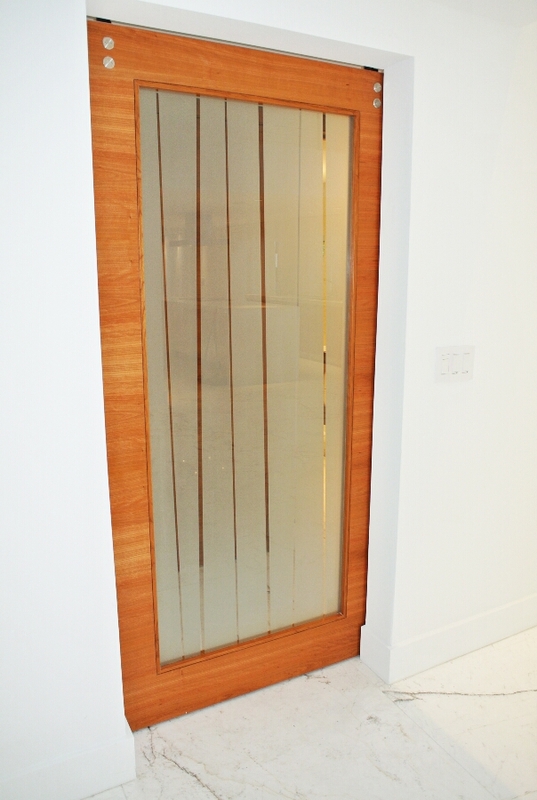 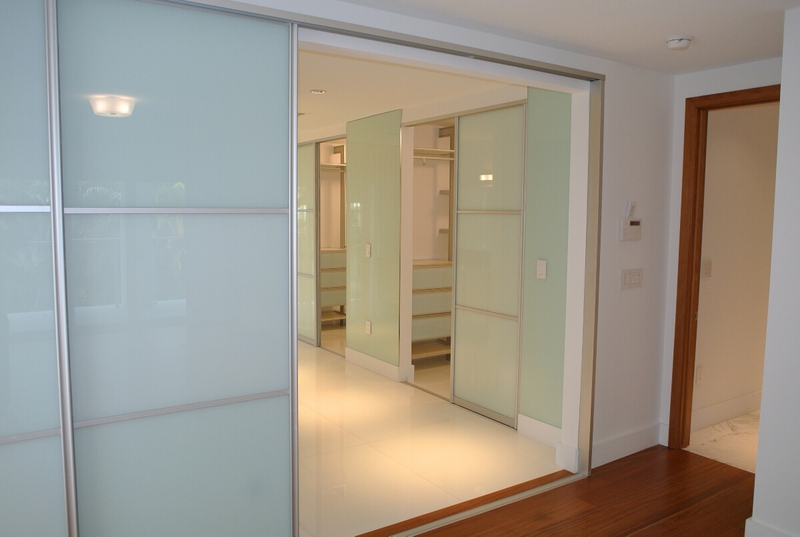 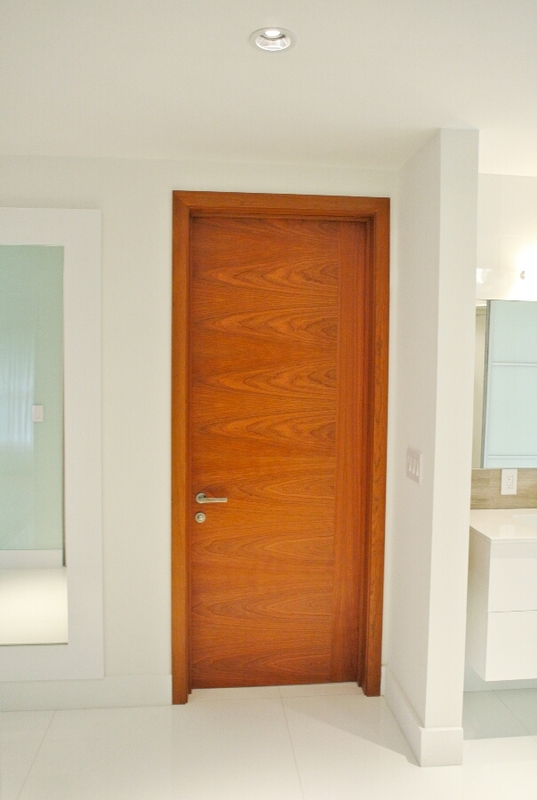 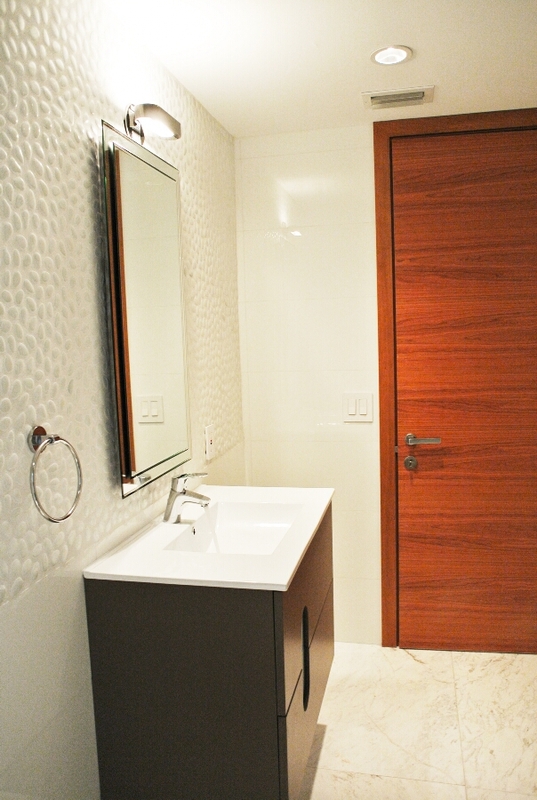 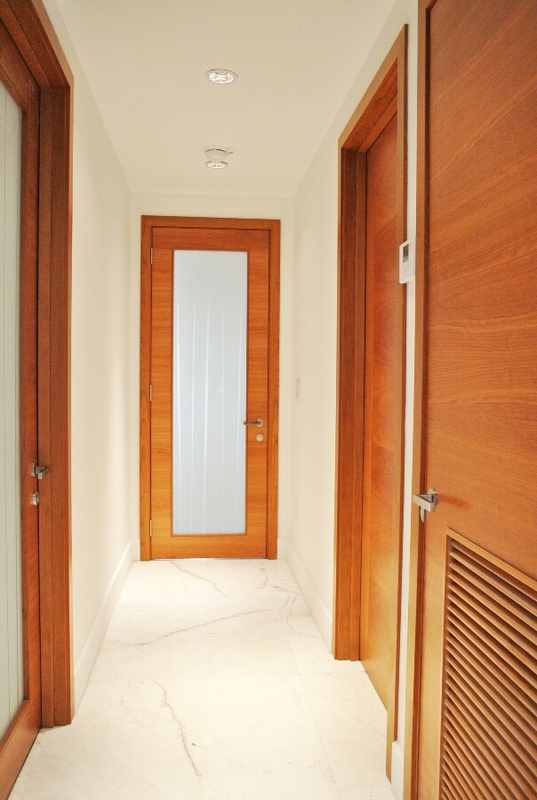 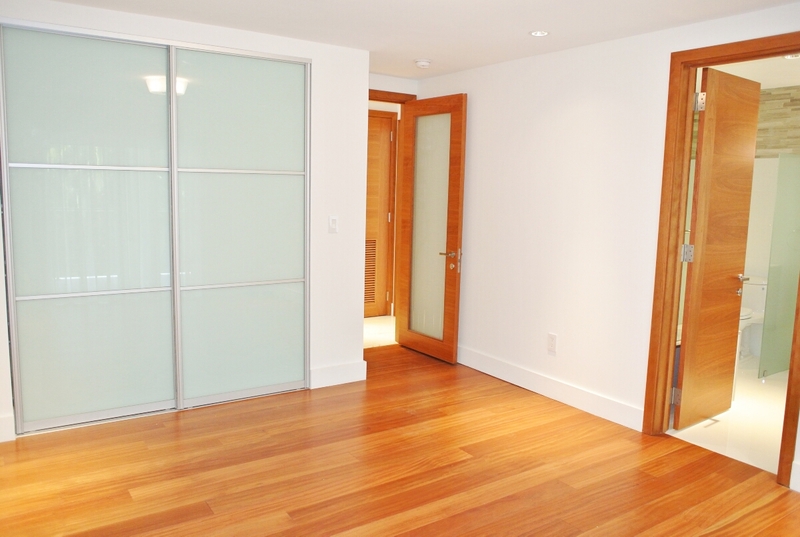 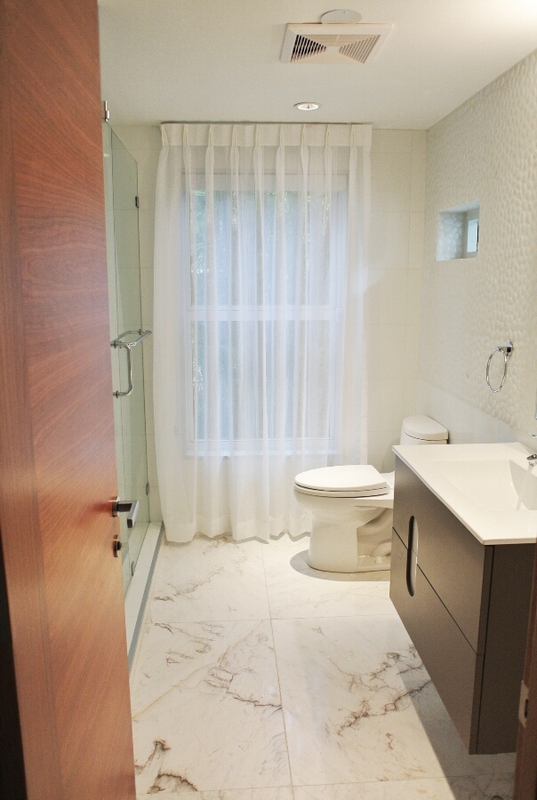 We bathed the walls all white and then warmed the space back up with modern, sleek, warm, exotic cherry custom doors with glass panels. 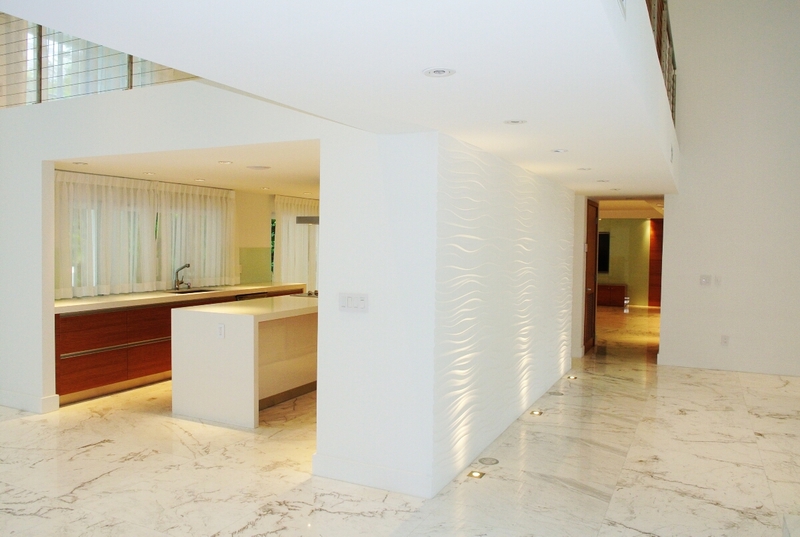 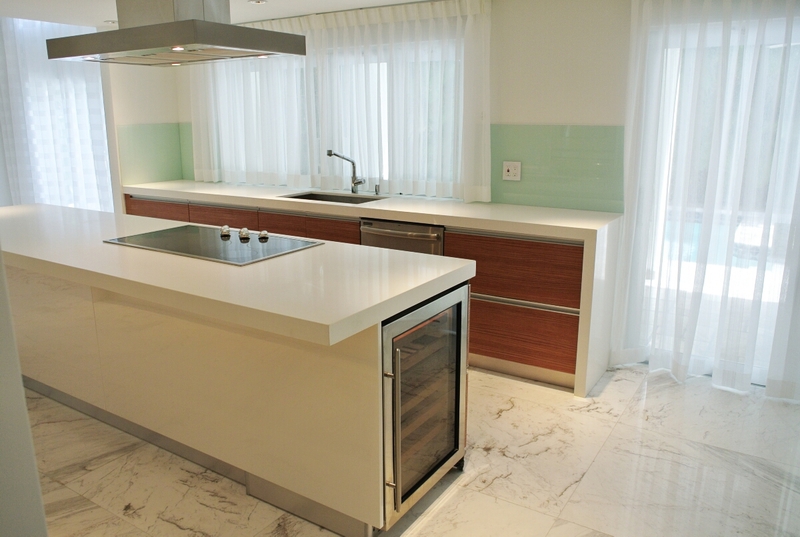 We outfitted the home with a modern minimalist kitchen with a large floating island. 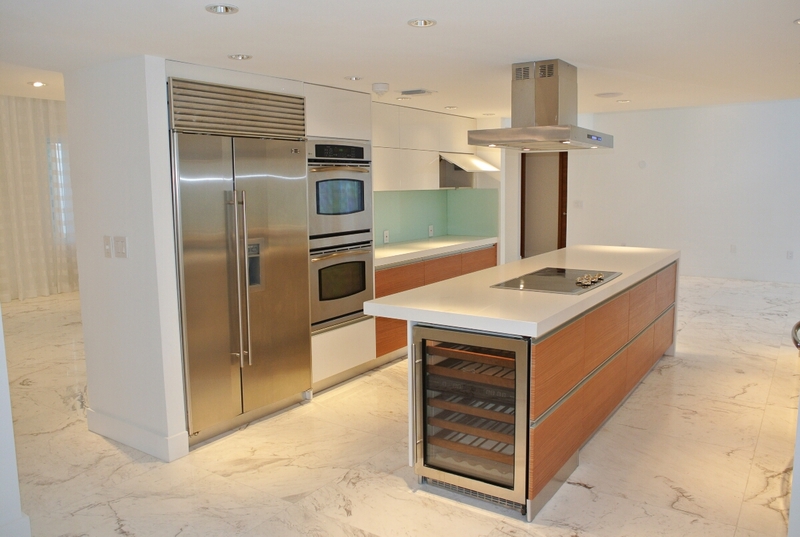 Custom cabinets with geometric characteristics of horizontal lines for the bottom cabinets and upper in white. 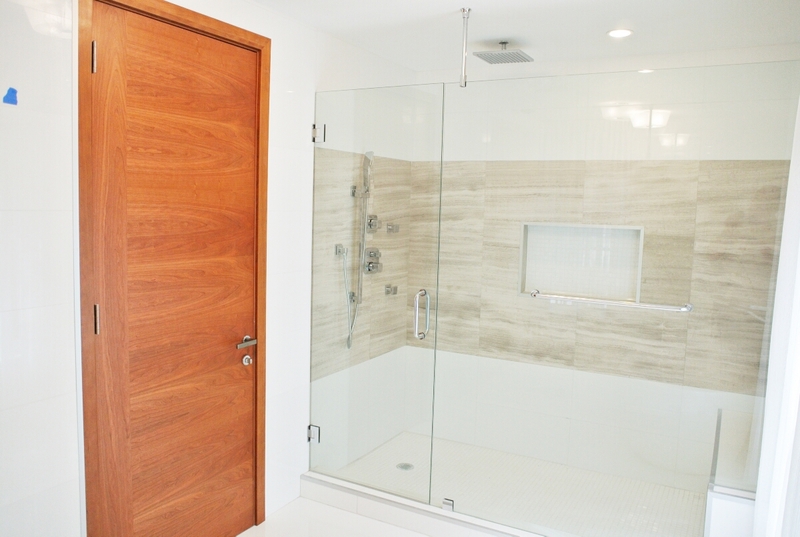 An open concept design with a strong indoor-outdoor connection. 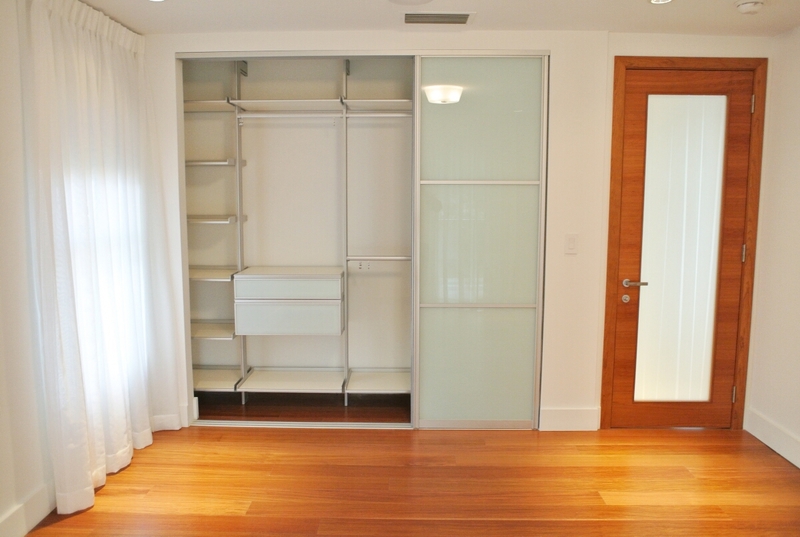 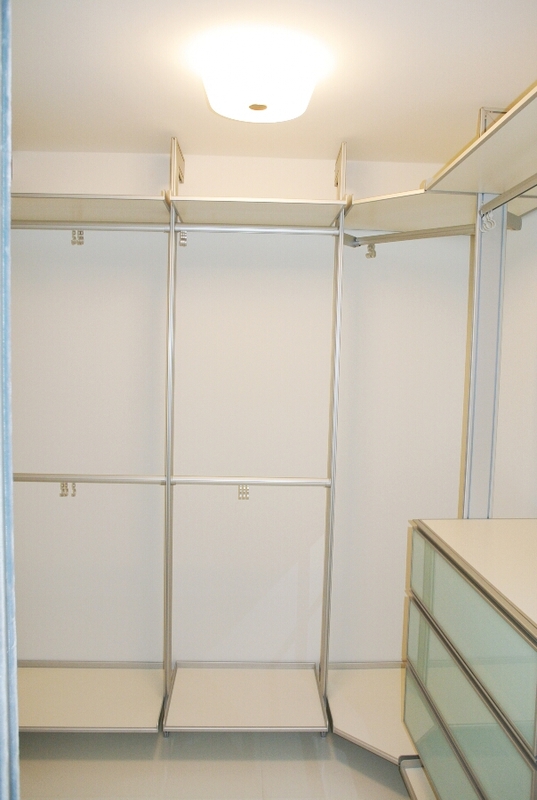 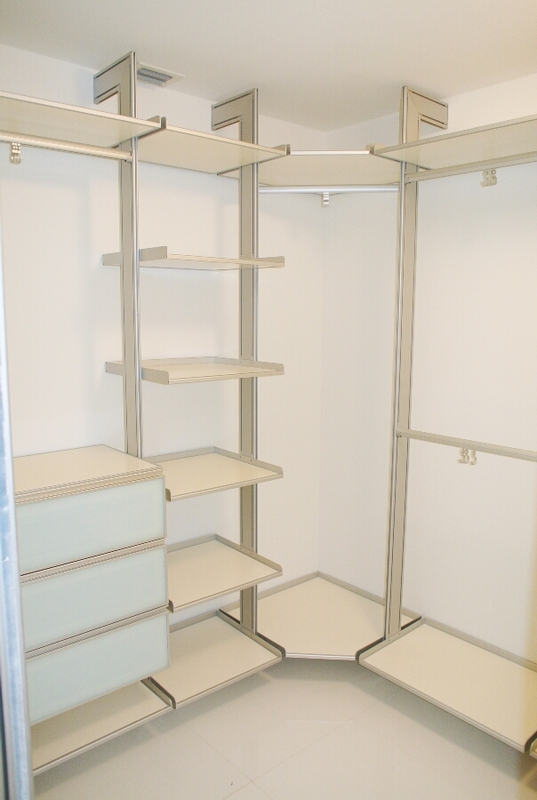 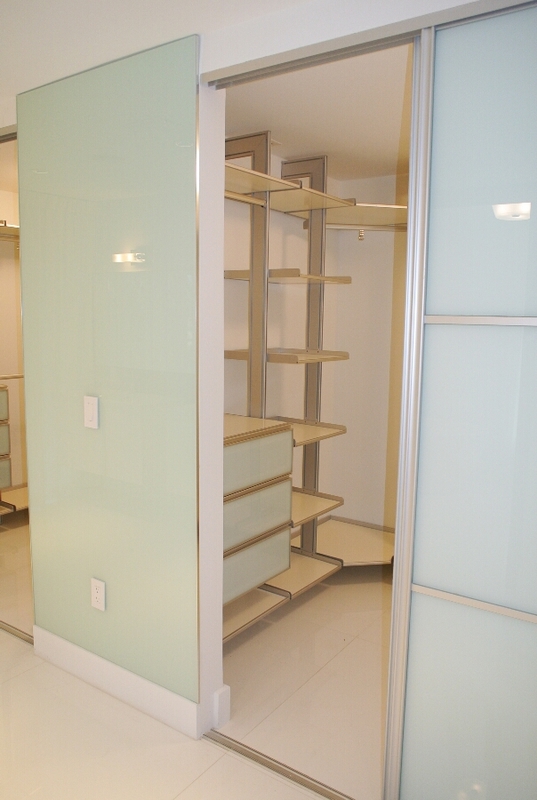 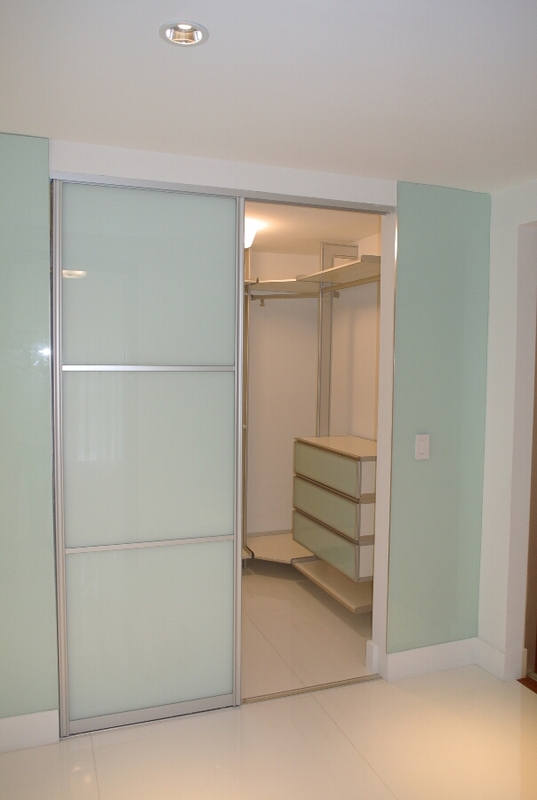 Home was also designed with modern closet organizers with aluminum posts, open design with glass drawers. 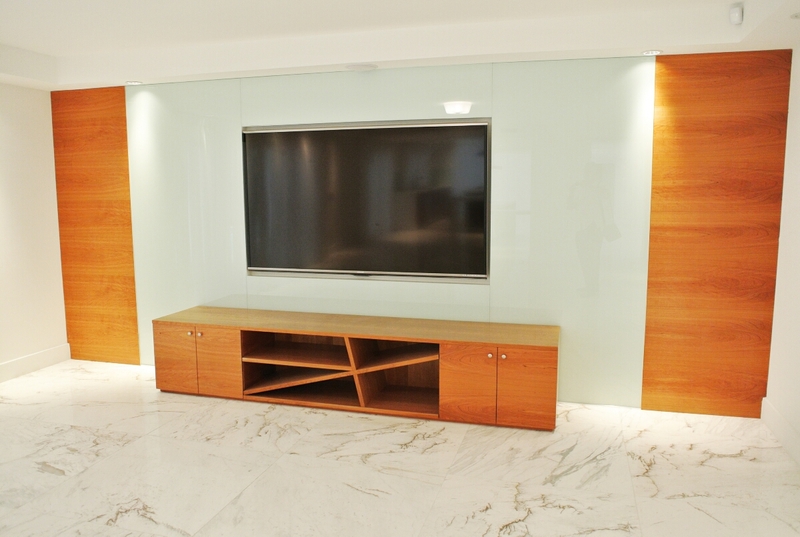 All which aides to this modern beauty. 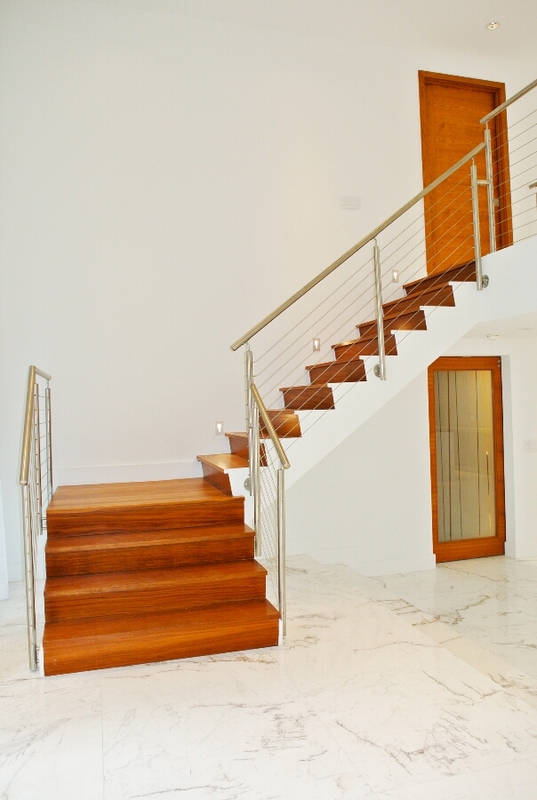 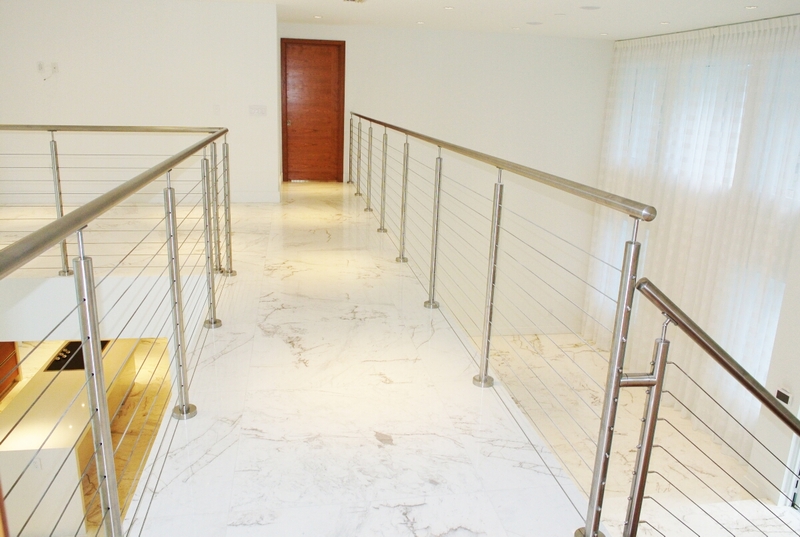 Because of its transparency, we chose to use stainless steel cables for the railing of the stairs and to complete the design we dressed the stairs and risers with the exotic African Teak. 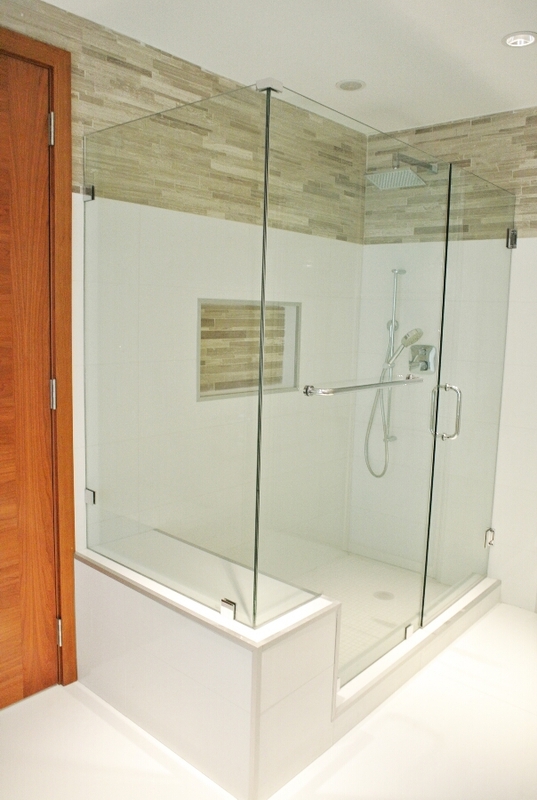 A totally winning concept. 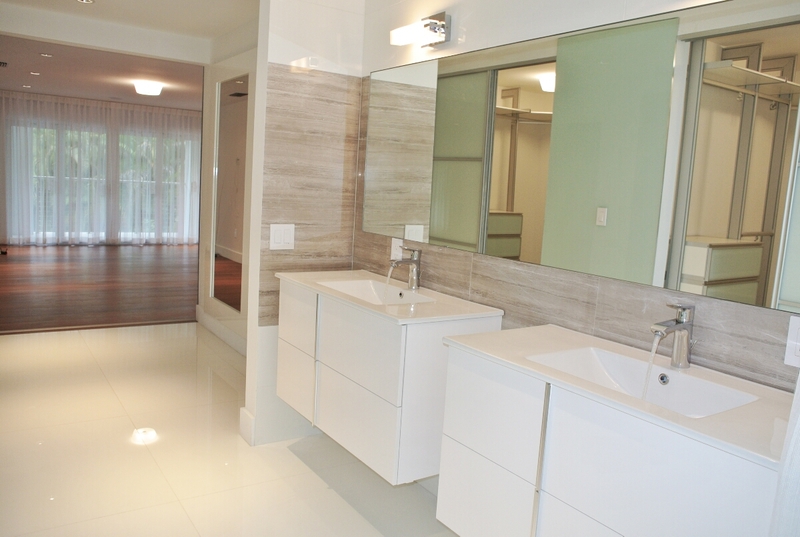 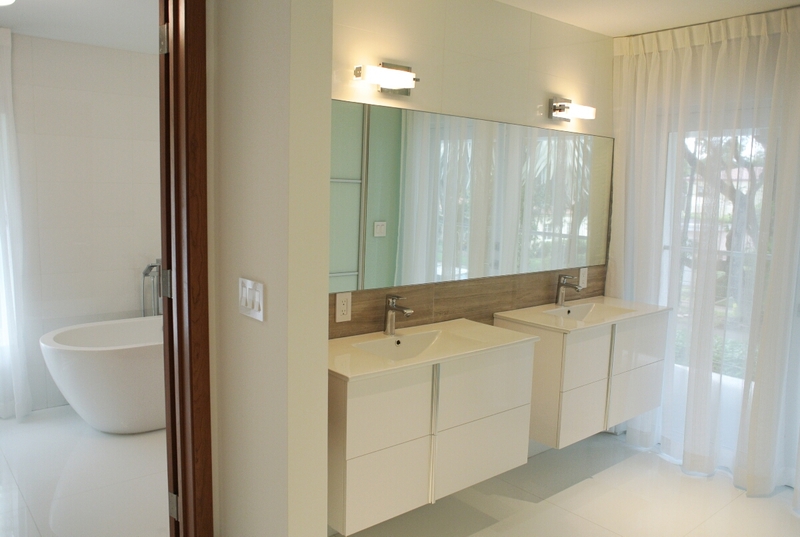 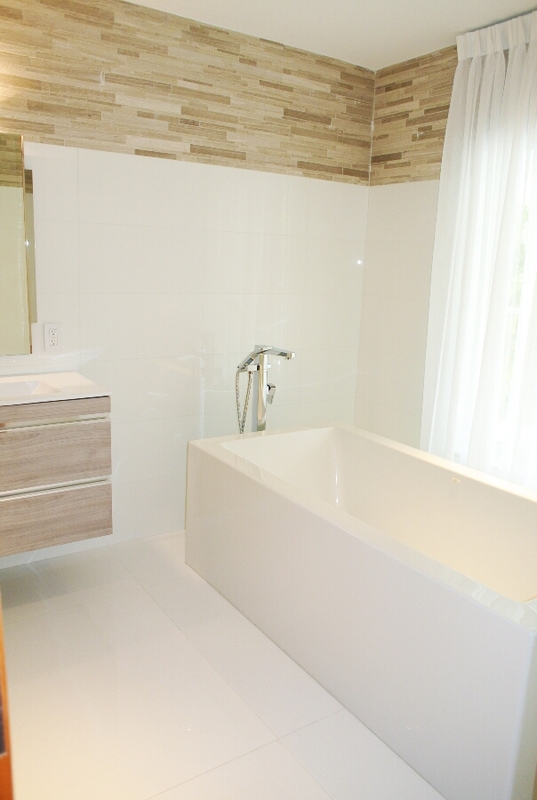 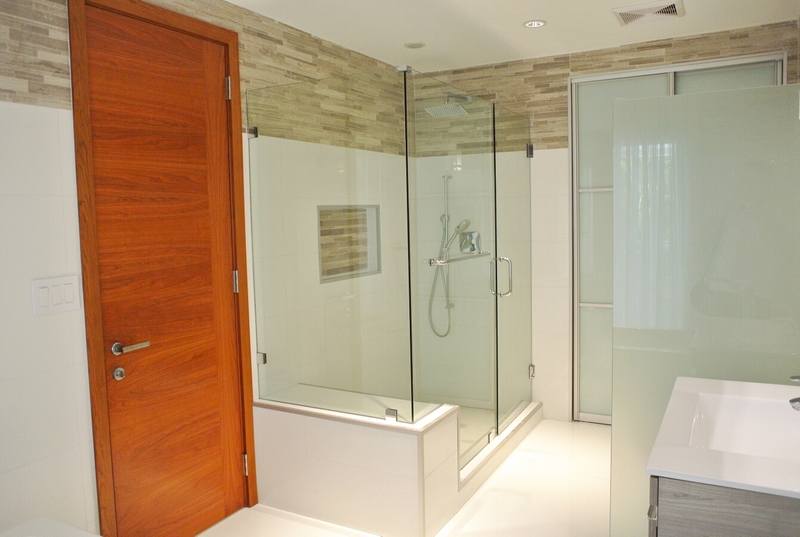 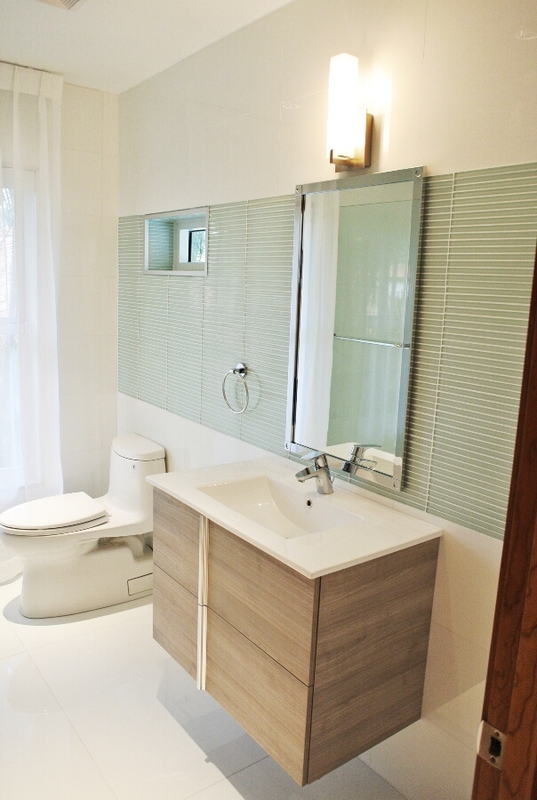 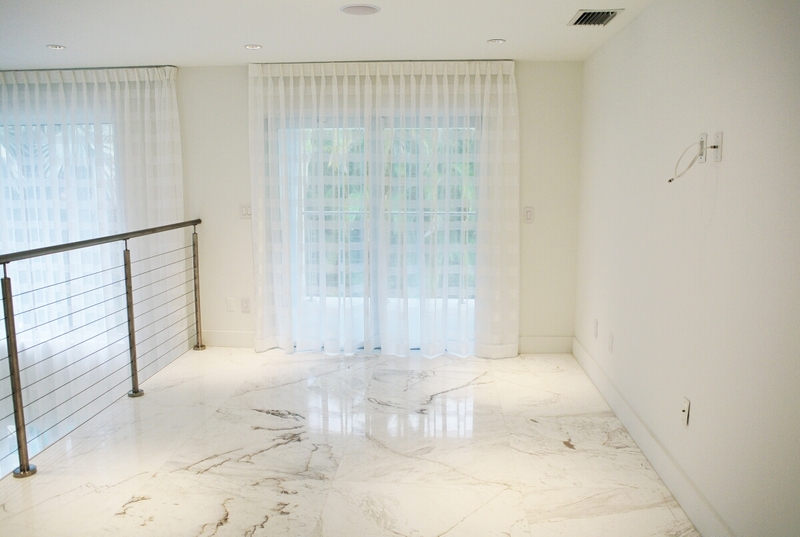 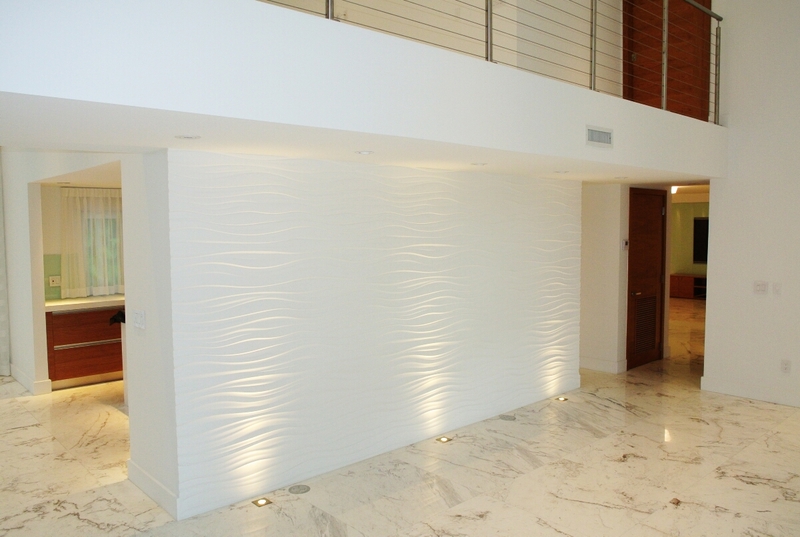 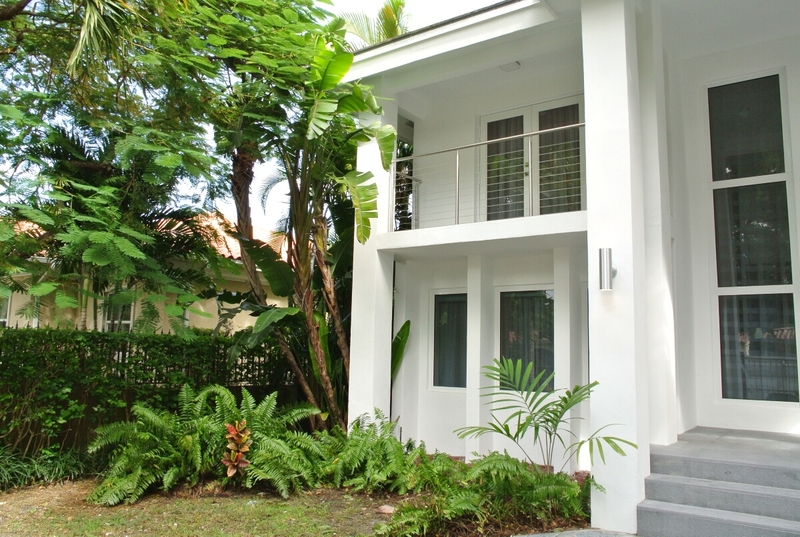 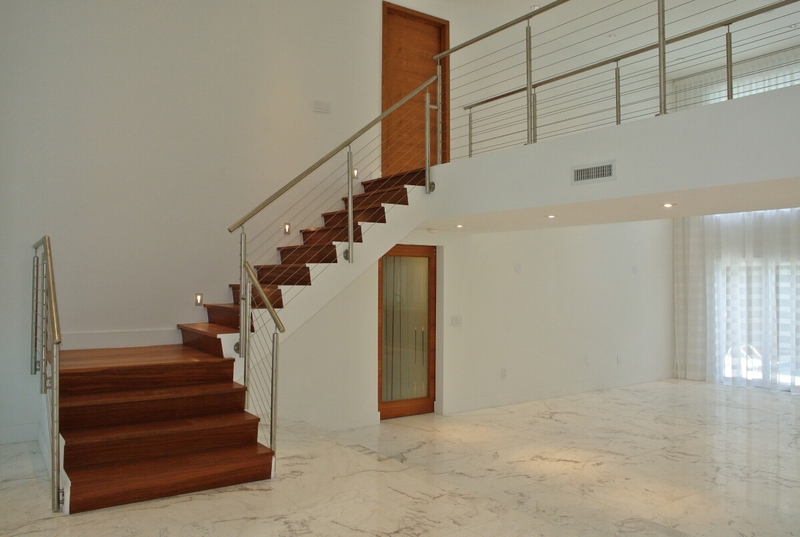 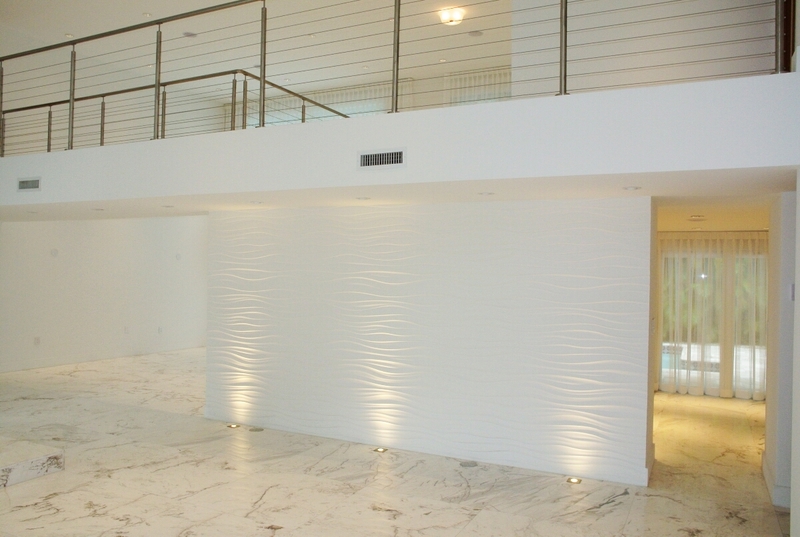 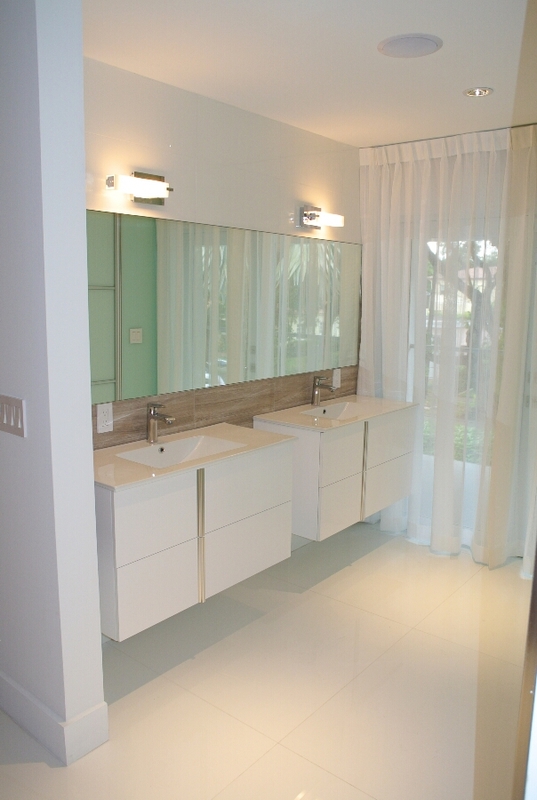 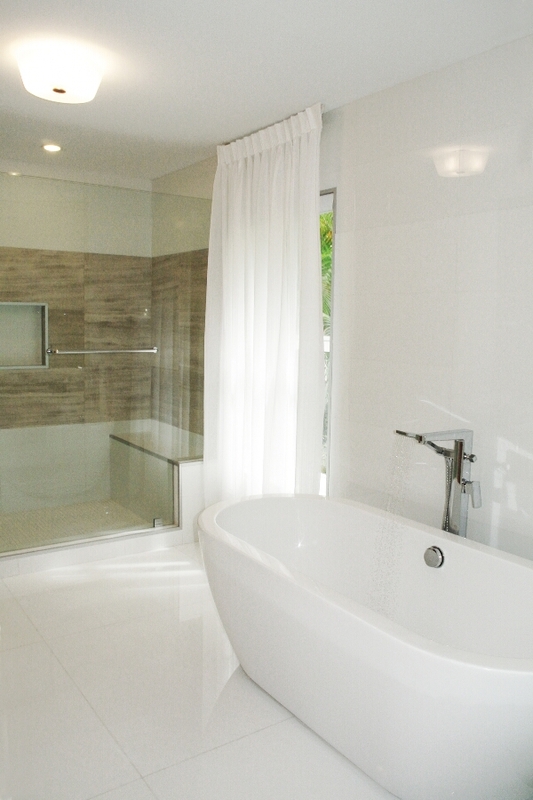 Client sought out design firm in order to create a modern home in the center of Coral Gables.